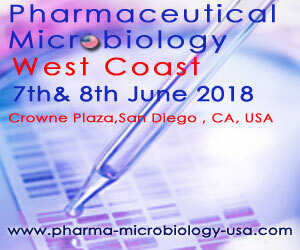 The 2nd Annual Pharmaceutical Microbiology West Coast conference is returning to the Crown Plaza San Diego, USA on the 7th and 8th June 2018. The two-day conference will be delivering updates and promoting discussion on key challenges and developments within the pharmaceutical microbiology industry. The Chair for the event was recently announced to be Ms. Ziva Abraham; CEO and Founder of Microrite, Inc. Microrite is a California-based consulting firm, providing consulting and training services to pharmaceuticals, biotechnology, medical devices and in vitro diagnostics in the areas of quality assurance, quality control, microbiology, and validation. Ms. Abraham has over 25 years of academic, research, clinical and industrial experience in microbiology and quality assurance. She received her master’s degree in microbiology with a focus on mycology, and has conducted research on developing microbial insecticides using entomogenous bacteria and fungi for her PhD. The 2018 agenda for the event is packed with hot topics, such as mycoplasma testing, bioburden testing and contamination control, exploration of rapid microbiology methods (RMM), novel microbial identification methods, challenges in endotoxin recovery, current thinking on risk based environmental monitoring, data integrity issues and much more.